For a special day in Fiji, the Sigatoka Jet Boat Safari is highly recommended. 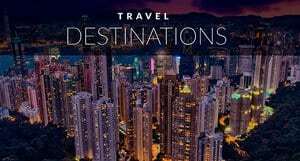 With thrills and spills, culture and education it is the most well-rounded trip on the main island. We didn’t have this excursion planned during our FijiMe tour courtesy of Tourism Fiji, but when we arrived at Outrigger Lagoon, they suggested we go on it, as it is their number one tour. Not knowing to anything about it, we booked the trip expecting a staged and touristy performance on a highly travelled river. From the minute we stepped into our van the adventure began. Pau our informative guide told us about the history of the villages on the Sigatoka River and how the people of Fiji had changed dramatically after embracing Christianity in the 1800’s. 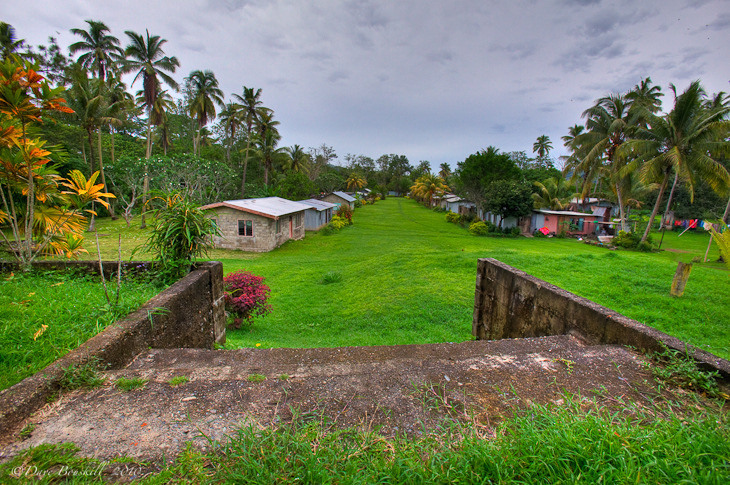 Before the missionaries dared to enter Fiji, the tribes were a fierce people of cannibals that were at constant war. Explorers never stopped in Fiji and continued on to New Zealand as they heard about the people that ate other people on this faraway land. But eventually Christianity was embraced and according to Pau, they were shown the errors of their ways. Don’t mess with the chief’s hair. The last Cannibalized human was in 1867 when Reverend Baker made the grave mistake of taking a comb out of a village chief’s hair. This is considered the ultimate insult and the penalty was death. The villagers went so far as to eat his leather boots as they thought they were a part of him. It took them two weeks to try to get through the boots, but they couldn’t manage it, and today the half ate boots are on display at the museum. 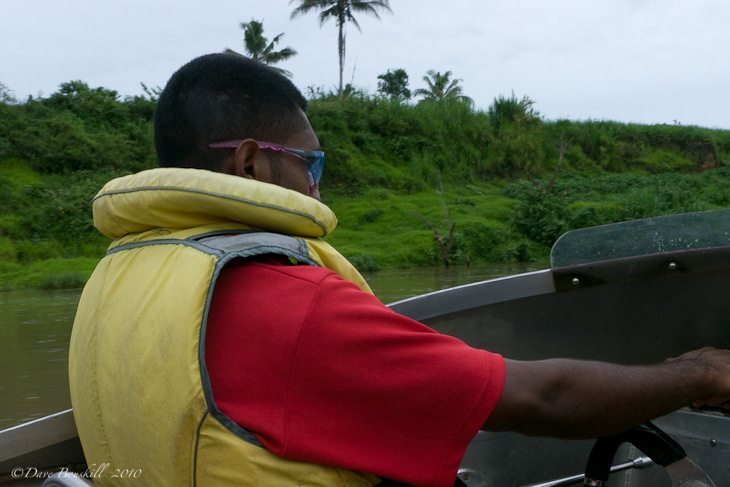 The jet boat ride was a fun and fast trip to the farthest village on the Sigatoka River. But it is the ride back that the thrills and spills start happening. The return Jet Boat ride gets wild! (More on that later). We landed at Tuvu village to a warm and friendly welcome of children waving us in. They led us on a tour and we learned about the community and family spirit of the village. Everyone lives in harmony and helps one another out and everyone goes to the church built on the highest piece of land. 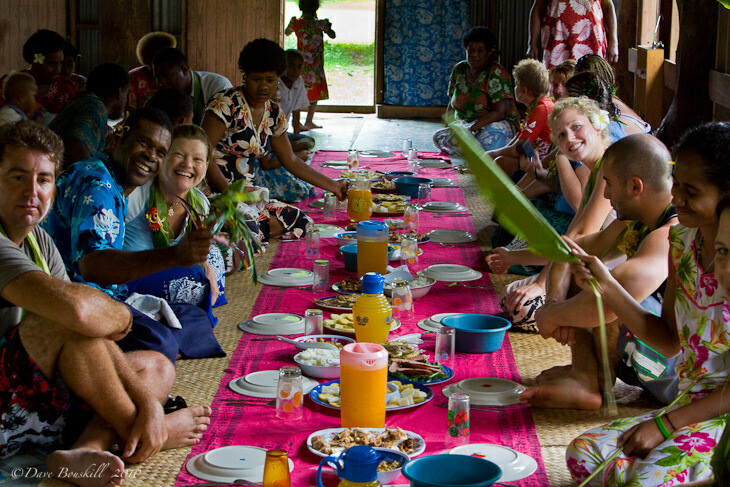 The real treat came when we went to the community house known as a bure and the entire village was waiting for us. It was here that the festivities began. The eldest man of our group was appointed as Chief and he presented the Tuvu Chief with a Kava root. 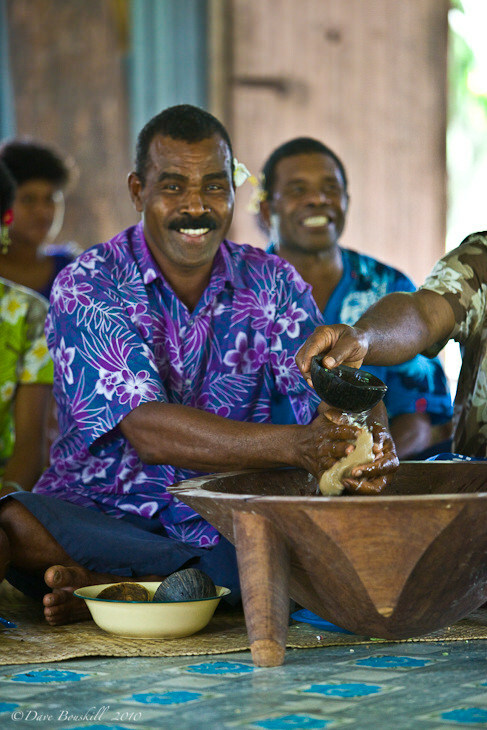 The Kava root is highly regarded and respected and once the root is presented, both tribes are now family. The tribe accepting the root then grinds it up and makes a mildly potent drink for all to share. The chiefs drink first and then it is passed around to everyone else. 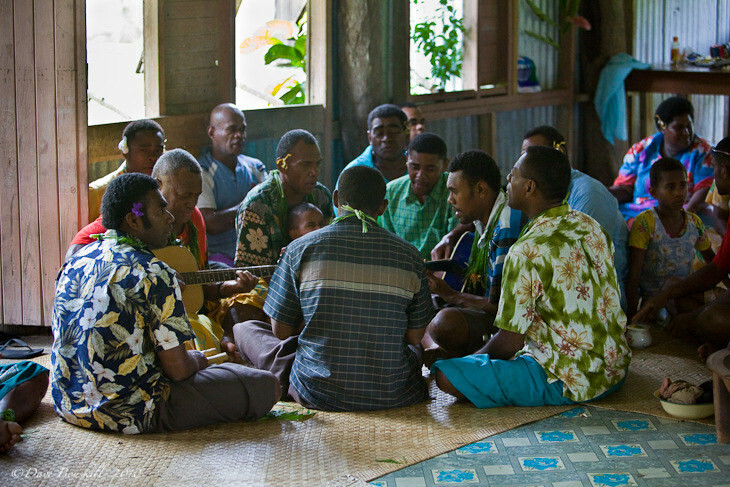 For proper etiquette read more on what to do at a Kava Ceremony. We drank two “high tides” (full cups) and then the feast began. We sat on mats eating an array of food that couldn’t possibly be finished. There was tilapia fish, eggplant, fresh river muscles, sweet potato, sausage, fern salad, rice and fresh juice. We talked with David a young man from the village who went to university in town and spoke impeccable English. Another young girl name Anna sat beside us and was very shy yet totally adorable. 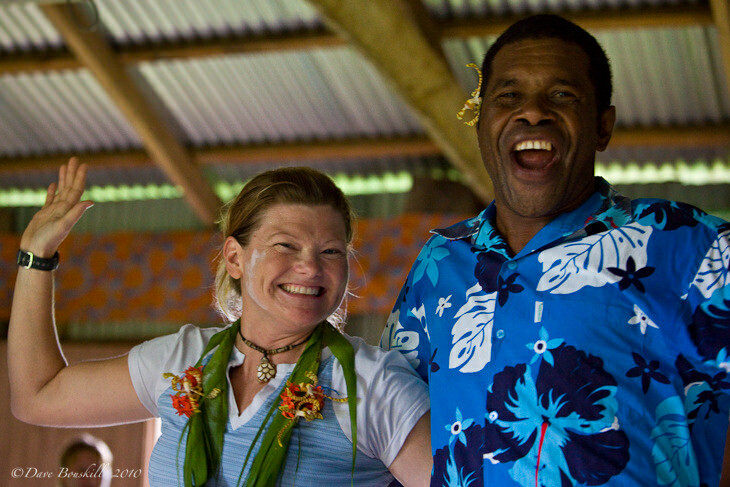 With our bellies full and feeling lethargic from the Kava, it was time to dance! I ended up dancing with David for most of the songs, who could really shake his booty. My Dave managed to dance with several of the ladies and for one dance, one of the elder women jumped up and grabbed him for a twirl. The village women got a kick out of this and we got the feeling that she normally doesn’t get up and dance due to her hearty nature. The dancing went on for at least an hour as we exchanged partners. The children joined in and couldn’t wait to get up once each song began. At one point I had two young girls in my arms grooved to the beat. Sadly our time had to come to an end and the “Good-bye” song was sung. It is a song that you will hear regularly in Fiji. When sung in perfect harmony as it was today, it is beautiful. We made our way out to the Jet Boat with children in hand. We didn’t want to say goodbye. The people of Tuvu gave us a feeling of being genuinely welcome and that we would truly be missed. 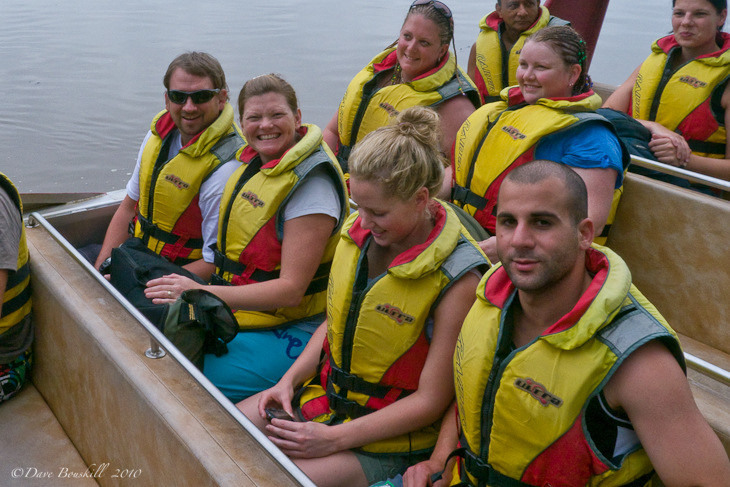 They watched us fly away in our jet boat until we were out of sight and with fond memories of our time in Tuvu, our Sigatoka River adventure began. Captain Jack and Pau told us to put away our electronics and cameras because we were about to get wet. Part way home the 360’s began. We held on for dear life as the Captain gunned it and turned the wheel for a roundabout in the middle of the river. Water splashed overhead and we were all thoroughly drenched. We did this about five more times and each time it became no less thrilling. What a wild ride and yet another perfect day in Fiji. Tours rotate to seven different villages per week. Each village only sees tourists once a week making it a special occasion for both them and you. 13 Responses to "Sigatoka Jet Boat Safari"
Hmmm Fiji is one of my favorite destination for tripping because my mom belongs to this place. Whenever I came here my soul not permitting me to go back to my place because this place is so beautiful. I love sea food and in Fiji you get them easily absolutely fresh. I got your post through Internet and by memorizing those days I am posting my comment. Thanks for sharing such nice post. When I get time I’ll be come there soon. 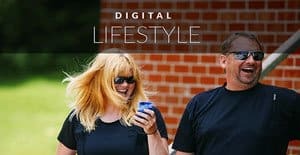 Hey guys….I am planning a trip to Fiji and I searching some posts about the trip regarding the visit-able places so I got this one and after read out I decided to go there and spend some time with them. I love nature and Fiji is one of my favorite place. 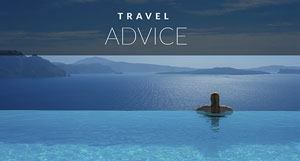 I think your post will help me on my trip. 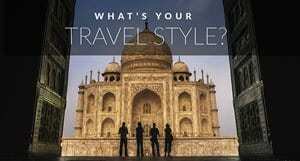 Hi guys, your trip is mirroring many parts of one that I did earlier this year! 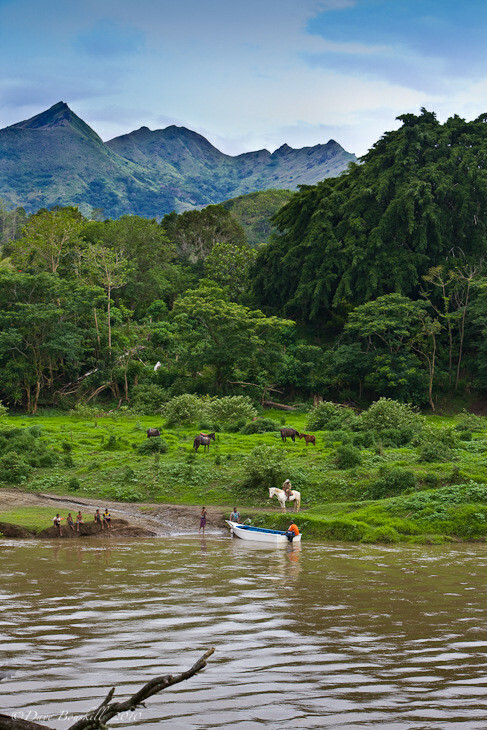 This is my take on the Sigatoka River Safari! It was great fun! 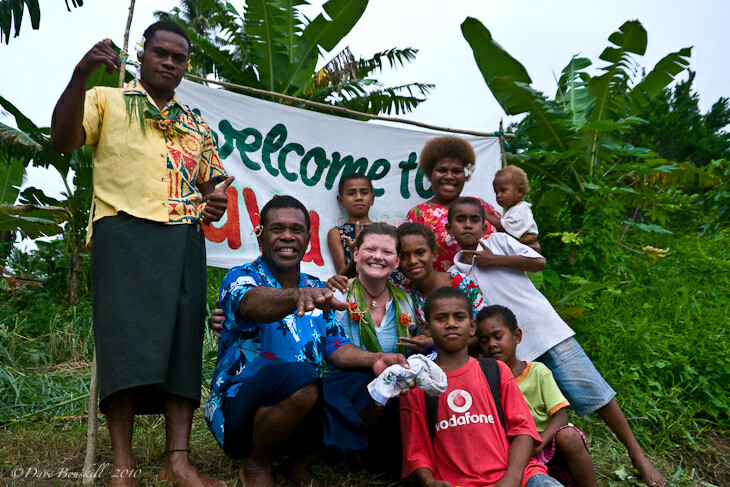 Sounds like a blast — great to mix the thrills of a jet boat ride with some Fijian hospitality. .-= Matt´s last blog ..Exploring Bali – A Backpackingmattcom Travel Video =-. .-= Andy Hayes | Sharing Travel Experiences´s last blog ..Mexico City- Before the Mayan Apocalypse =-. Bula! Wow, what a freaking awesome Fijian day!!!!! !